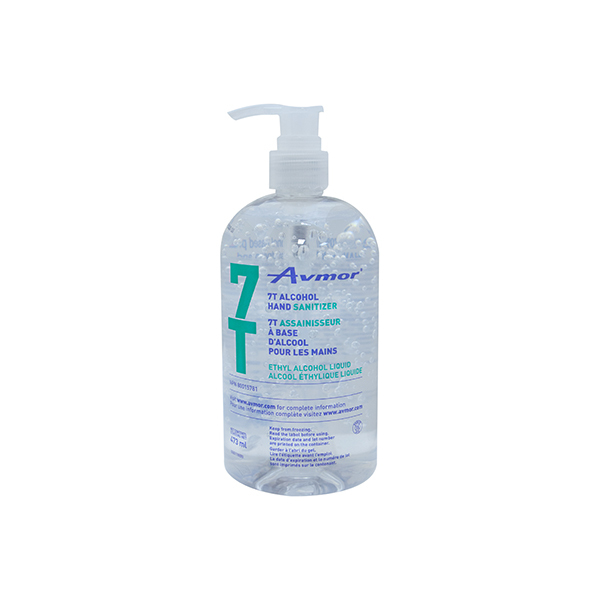 Avmor’s 7T ALCOHOL HAND SANITIZER is a fragrance-free, 70% v/v ethyl alcohol based product that produces a thick, stable lather that leaves skin with a soft, refreshing, non-sticky after-feel. 7T ALCOHOL HAND SANITIZER is fast drying and it effectively kills harmful bacteria and germs on the skin. For personal hand hygiene to help prevent the spread of certain bacteria. Pump a small amount of 7T ALCOHOL HAND SANITIZER into the palm of your hand. Rub product onto hands and allow to dry. Use as part of your daily cleansing routine.